March 30th, 2018, will bring an amazing sight to the fields above the French village of Moreuil. 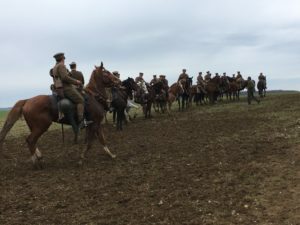 A mounted troop in authentic World War One British cavalry uniforms will gallop, swords drawn, in a re-enactment of an event that occurred one hundred years before. 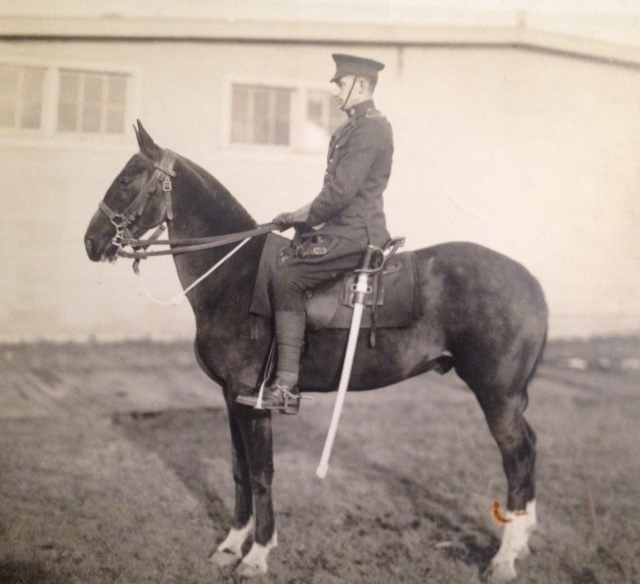 The mounted men will be regular Canadian Army troopers of Lord Strathcona’s Horse (Royal Canadians). They, their Regiment, and guests will be welcomed by the village, whose collective memory includes the long-ago day when a bloody battle was fought to protect it. On March 21st, 1918, the German army unleashed a massive assault they called Operation Michael on the Allies. Seven thousand artillery pieces opened up, raining shells on the British and French lines. Eighteen divisions, over 200,000 men, swept through the gaps the artillery softened up, driving the Allies back and threatening to push the British into the sea. 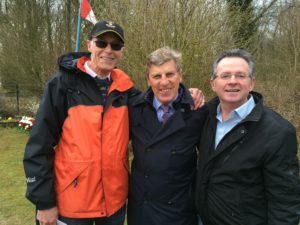 When the British slowed their advance, the Germans turned their attention to the approaches to Amiens in Picardy, in an effort to break through where the British and French armies met. Wherever they encountered tough pockets of defenders they simply swarmed past them, cutting them off and penetrating almost thirty miles past the previous front line. Ironically the British cavalry, long derided as past its best-before date, now came into its own. Formerly in a reserve role, it was tasked with turning back the German onslaught. The Canadian Cavalry Brigade, operating as a unit of the British Army, found itself in the centre of the maelstrom. Commanding the Canadians was Brigadier-general “Galloper Jack” Seely. A larger-than-life figure, Seely’s resumé reads like a tale from a Boy’s Own Magazine. Reserve cavalry officer, Boer War soldier, politician, cabinet minister, friend of Winston Churchill…Seely was an unlikely but popular leader of the Canadian cavalry, made up as it was of cowboys, plainsmen, remittance men and Mounties from the West, and Easterners of all stripes and occupations. 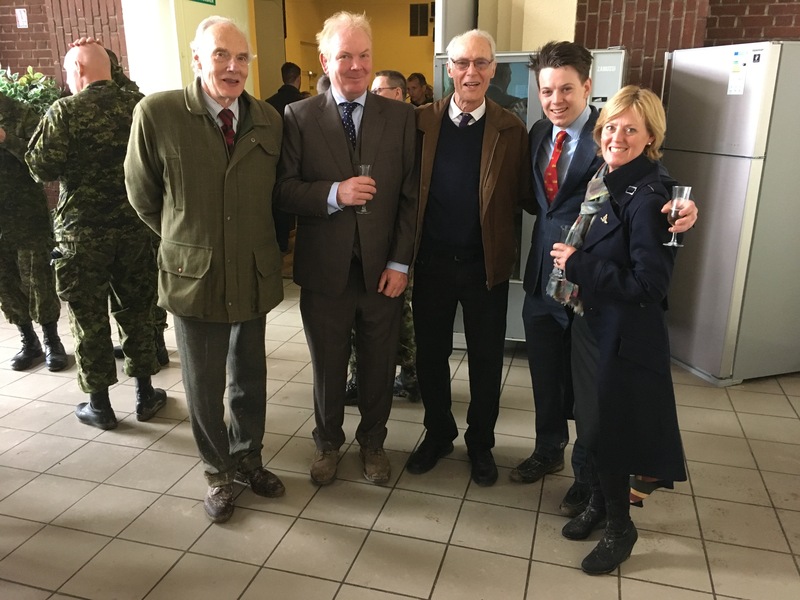 Seely first met the Canadians where they were training on Salisbury Plain when the British government, not sure what to do with a cabinet minister who insisted on going to war, and against the wishes of the Canadian government, assigned him to the brigade. 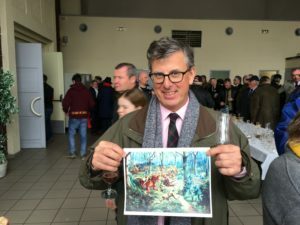 Soon after, Seely and his command left their horses behind and crossed the Channel to join their infantry comrades who were struggling in the bloody, gas-filled trenches on the Continent. The next few years saw the brigade often dismounted, half their number in the trenches for two weeks at a time, then rotating out to spend two weeks caring for and training with their horses—training for a cavalry attack through a “gap” opened by the artillery and infantry that never came. 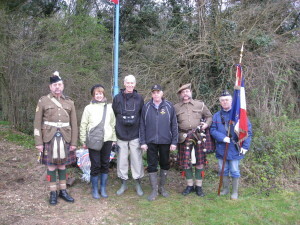 March 21st 1918 and Operation Michael found the brigade in Picardy. The British and French were staggered by the German onslaught. The highly mobile cavalry rushed from firefight to firefight, dealing with the attackers over a front that stretched forty miles. 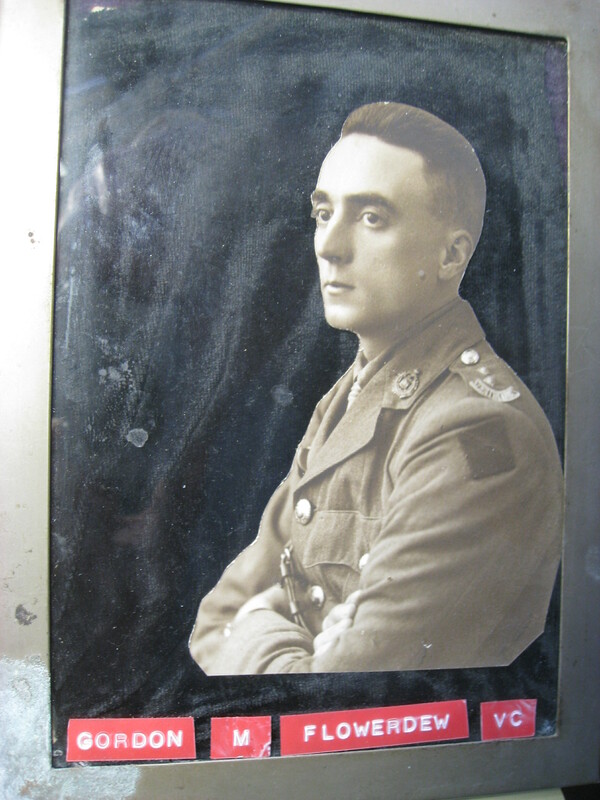 In just one of many incidents, Lieutenant Fred Harvey of the Strathcona’s led a patrol that chased German attackers out of the village of Fontaine. 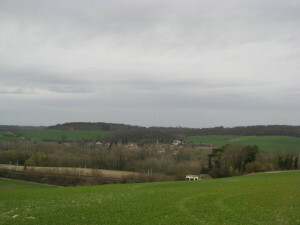 Returning through the village, Harvey and his men encountered returning French troops, who imprisoned them as suspected spies. Luckily word of the affair reached Seely, who had them sprung. The embarrassed French awarded Harvey the Croix de Guerre. In the nine hard days following the attack, the cavalry was stretched thin. Given the fluid nature of the battle and their mobile role, the troopers often outstripped the wagons of their supply line. Hungry and exhausted, they fought on. On March 30th, 1918, the Brigade was on the move from their bivouac on the banks of the Noyes River. 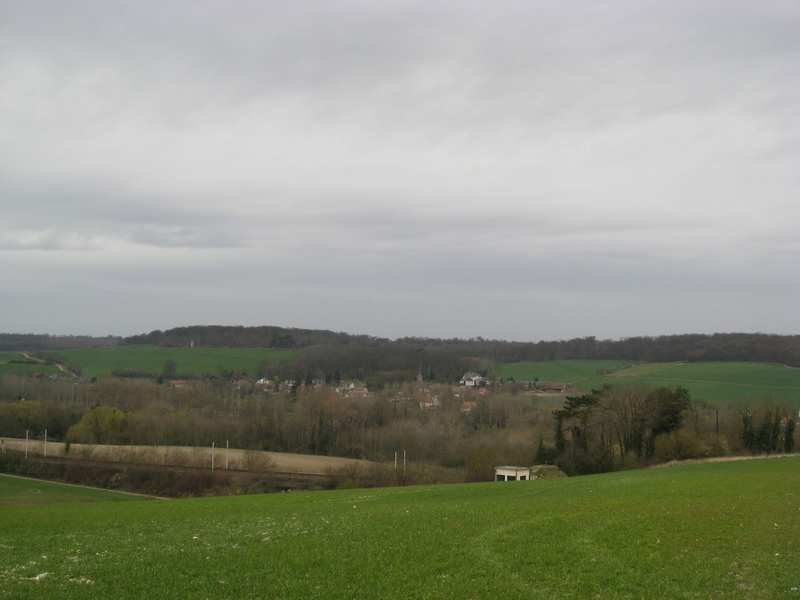 Seely received orders to engage the enemy, who were busy a few miles away, occupying Moreuil Wood on the ridge east of the village of the same name. 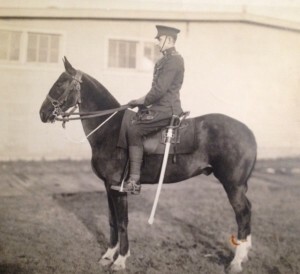 Galloper Jack lived up to his name, leading the Royal Canadian Dragoons, Lord Strathcona’s Horse (Royal Canadians), and Fort Garry Horse to the northeast corner of the Wood. Attacking into the wood, first mounted and then on foot, the brigade found itself in a bloody struggle. Distant “friendly” artillery lobbed in heavy shells, and the Royal Flying Corps rained bombs on the wood, adding to the confusion. Dispatched on a special task to cut off supposedly retreating Germans, Lieutenant Gordon Flowerdew led the Strathcona’s “C” Squadron around the southeast corner of the wood—to be confronted by an enemy with rifles, machineguns, and artillery. Too late to turn back, Flowerdew ordered a charge. He and his men attacked at the gallop, swords levelled, in what one soldier later described as a stampede, not a charge. A few of the squadron were able to swing into the woods to avoid the slaughter. Mackay and others survived, but lost many comrades. It is there that, this March 30th, one hundred years after the original battle, the Charge of Flowerdew’s Squadron will once again thunder over the Picardy hillside. 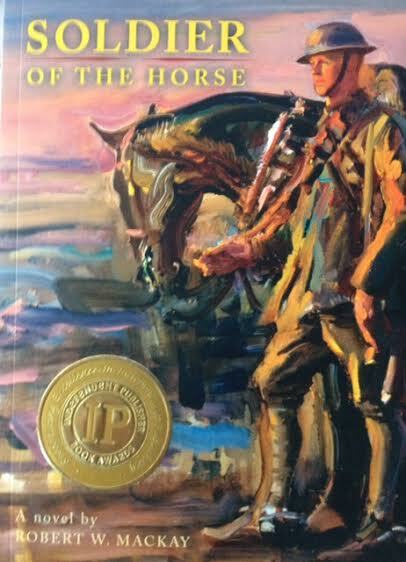 If you or someone you know would like a signed copy of Soldier of the Horse, my prize-winning novel based on my dad’s war, please email me at bob.mackay@hotmail.com. I always wanted to tell the story of at least part of my dad’s life. His was the Great War, 1914-18. 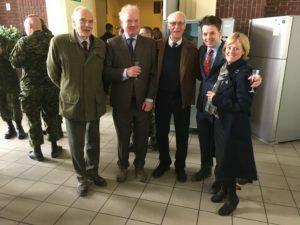 Speaking for himself and his comrades in the Canadian cavalry, he joked, “We went to war like gentlemen, on horseback.” And they died like soldiers, in droves. Tom Mackay was one of the lucky ones. If his war was “interesting,” his reasons and circumstances under which he joined up were unusual. Articled to a prominent Winnipeg lawyer, a King’s Counsel, the machinations of the KC’s rogue lawyer son make for an irresistible fact pattern. Telling the story of an immediate family member has problems and issues that have been a source of discomfort for many a biographer. I wasn’t prepared to write a biography, preferring to do the story as a novel. This of course allowed me to fill in the blanks of my knowledge, as Dad had passed on long before I put pen to paper. One of the issues I wanted to deal with was his relationship to his first wife, Florence, who sadly died when her children, my half-siblings, were very young. And they too have passed away. I was crafting a scene between Tom and Ellen, as I called her, when I had the distinct feeling that Tom Mackay, my father, was peering over my shoulder. He was obviously disapproving of whatever I was trying to say. “That’s not what I’d do,” or some such remark, I imagined. That was one of many instances where I felt constrained by my own image of my dad. I came up with what I thought was a practical solution. I changed Tom, my protagonist’s, name to “Macrae,” my paternal grandmother’s maiden name. 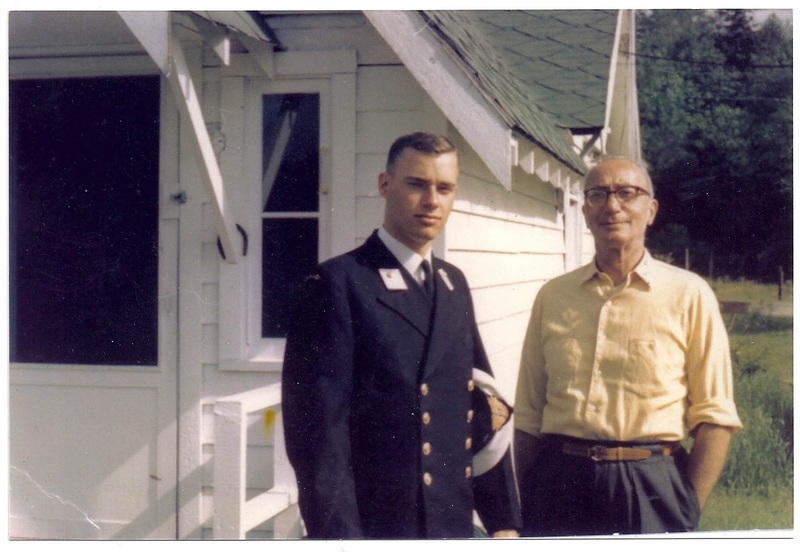 From then on protagonist Tom was much less constrained by the unknowable details of my father’s life. That being said most of the events and many of the characters in Soldier of the Horse were real and in fact toned down so as not to be unbelievable in a novel. The truth, as so often, being stranger than fiction.